Have you ever been in the produce section and wondered what kind of lettuce to buy? I do this all the time. Sometimes my decision depends on price. Other times my decision is based on what I will be using it for. (For example, I usually buy shredded iceberg lettuce to put on top of tacos). And often I choose based on the freshness of the lettuce. With that said, I realized that I don’t know that much about the different kinds of lettuce. Maybe deciding what kind to buy would be easier if I knew more about lettuce! 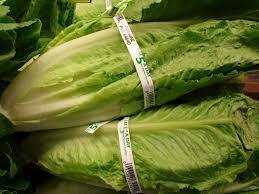 The four main types of lettuce are Iceberg, Romaine, Leaf, and Butterhead. There are many different hybrids and varieties within these types. There are also all sorts of other greens that we like to put in salads (like spinach and kale), but for the purposes of this article, I will just focus on the four main types of lettuce. 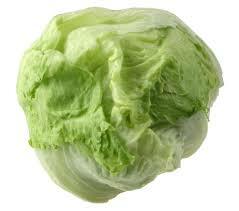 Iceberg Lettuce – Iceberg lettuce is 90% water and therefore has the mildest flavor of all types of lettuce. It is also low in nutrients because it is mostly water. One cup of iceberg lettuce contains 10 calories, one gram of fiber and about 20% of your daily intake of vitamin K. If you are making a dinner salad, iceberg is not the best choice, unless it is mixed with other greens. Iceberg lettuce is best used as a topping to add texture to your food. Romaine Lettuce – Another name for Romaine lettuce is Cos lettuce. Romaine is similar to Iceberg in calories and fiber, but has a lot more nutrients. One cup of romaine lettuce has 80% of your daily intake of vitamin A and 60% of your daily intake of vitamin K. Romaine is arguably the best salad lettuce. It is thick, crispy, and pairs well with just about everything you’d want in a salad. Leaf Lettuce – Red and green are the two most common varieties of leaf lettuce. 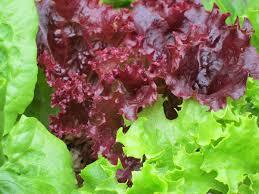 Leaf lettuce is one of the easiest types of lettuce to grow. It is softer than Romaine or Iceberg lettuce. You can make a salad out of leaf lettuce, but too much dressing will make the leaves slimy. Leaf lettuce is a great addition to sandwiches and burgers. 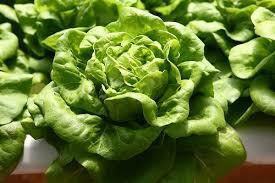 Butterhead Lettuce – Butterhead lettuce is soft and a little bit sweeter in flavor. Butterhead lettuce is often sold in a plastic container. This helps it stay fresh and keeps the leaves from bruising. It is usually the most expensive of the four. The smooth, soft, flexible leaves are excellent for lettuce wraps.